Christmas celebrations are in full swing around our house! We finally got up all our Christmas decorations and we went to my husband’s work party. This time of year is so magical and a great time to be thankful for everything we have. I was in the baking mood the other day and decided to make cranberry bread for my sweet ladies that I see for visiting teaching. The smell that will come out of your kitchen while this bread is baking will make it so hard for you to give this away! It’s a beautiful bread that will make everyone that has a piece feel loved. Preheat oven to 350 degrees. Cut a piece of parchment paper to put in the bottom of your bread pan (9×5 inch), it makes it easier for the bread to come out of the pan. In a bowl, combine flour, baking powder, and salt. In a different bowl, cream together the butter and sugar. Add the orange juice, eggs, sour cream, and vanilla. Combine the wet ingredients with the dry mixture and mix until just combined. Fold in the cranberries and walnuts. Pour the batter into the prepared pan and bake for about 1 hour or until a toothpick comes out clean. Remove from oven and let cool for about 15 minutes before removing the bread from the pan ( I take a butter knife and gently run it around the edges to make it easier to remove the loaf from the pan). Then let it completely cool. In a small bowl, whisk together powdered sugar, orange zest, and walnuts. Add the orange juice. Slowly pour the glaze over the top of the bread. * To roast the walnuts, put the chopped walnuts onto a baking sheet and bake on 350 degrees for 5 to 7 minutes. 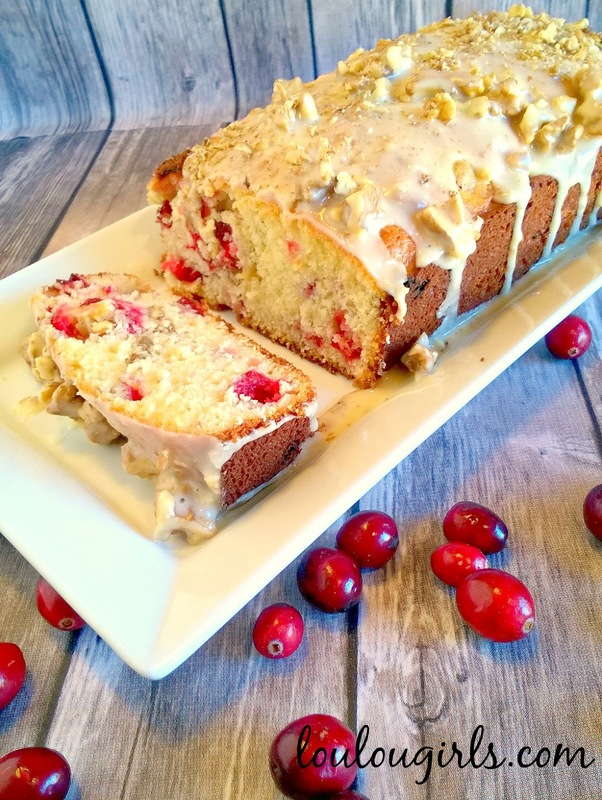 This cranberry bread looks so delicious, yumm! Thank you for sharing! This looks so good! I love cranberries this time of year! I am crazy for cranberries right now! And egg nog. All I did last weekend was make recipes with cranberries and egg nog, not together, well, actually one did include both! ha! I'll have to try to this bread very soon, it looks so lovely. I may try using pistachios instead of walnuts, just for fun. Thanks for sharing this awesome recipe! 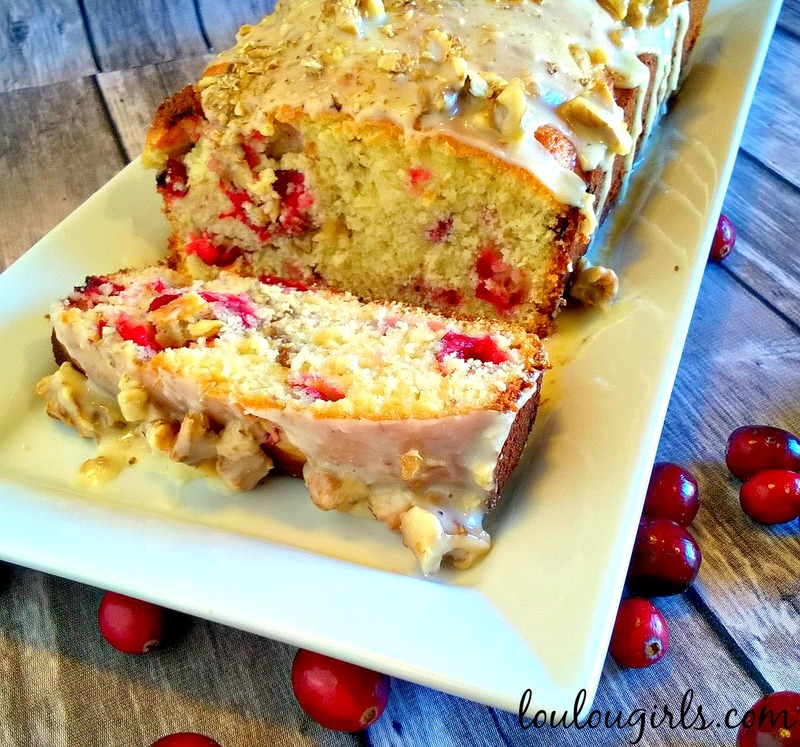 I love cranberries and this bread looks divine. Yummy! YUMMY!!! I love all kinds of quick breads like this. Especially the sweet ones. Thanks for sharing! I love holiday breads like this! Your Walnut Cranberry Bread looks so good. It's perfect for holiday entertaining or gifting. Thank you for sharing it with us at the Hearth and Soul Hop. Sharing!! That looks and sounds delicious! Thanks for sharing at Home Sweet Home! 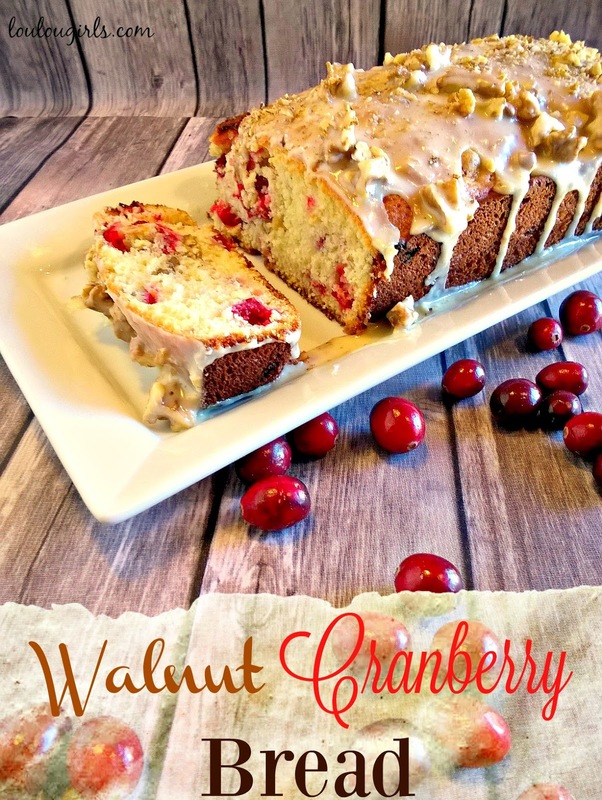 What a great Walnut Cranberry Bread, perfect for my morning coffee. Thanks so much for sharing your post with us at Full Plate Thursday and have a great day. This looks divine and sounds super yummy! This looks so delicious! Perfect for the holidays…I need to try it!